We had a dynamite couple of dinner services this week. Remember to make reservations! Walk in tables are becoming harder and harder to get. 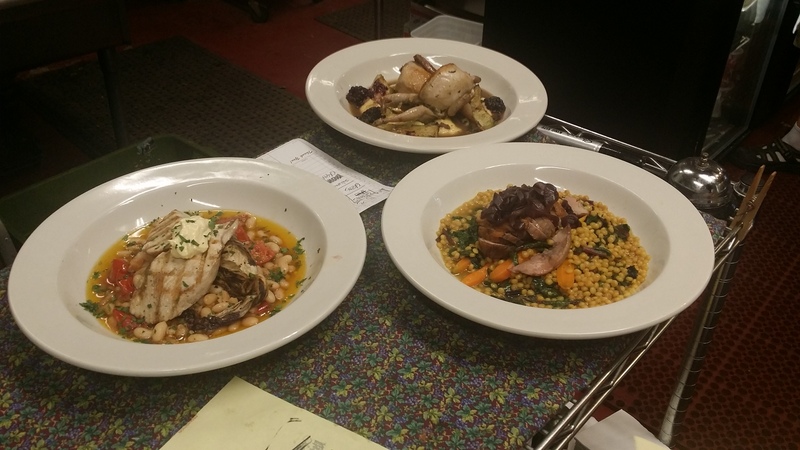 Highlights of the menu were the brown-rice-and-bacon-stuffed quail with blackberries, and the albacore tuna with white beans, tomatoes, and aioli. See you next week.